Nicole E. Pierce – Coveler and Peeler, P.C. Ms. Pierce joined the firm as an Associate in November 2010. Her practice includes the representation of emergency services districts in the State of Texas, both as general counsel and as special counsel. Ms. Pierce advises them on various matters including Open Meeting Act requirements, contracts, financing, property taxation, elections and government regulatory compliance. 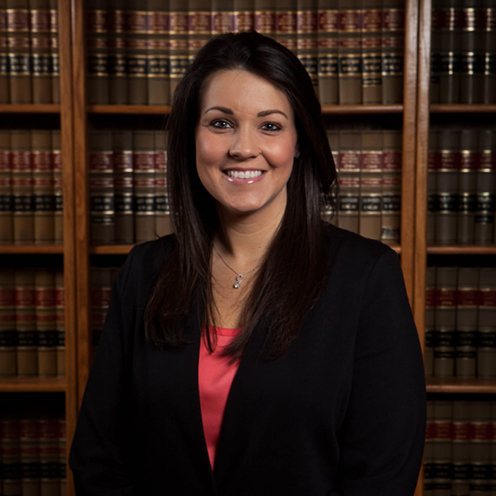 In addition, her practice includes consumer protection, probate, estate planning, employment law and health law related to physician practices and medical groups. Ms. Pierce was admitted to the Texas State Bar in November 2010. She is also admitted to practice in the U.S. District Court for the Southern District of Texas and the U.S. Tax Court. Ms. Pierce received her Doctor of Jurisprudence in May 2010, from South Texas College of Law. She received her Bachelor of Business Administration with a minor in communication studies from Baylor University in 2006. Ms. Pierce was born and raised in Sugar Land, Texas. She now lives in Richmond, Texas with her three dogs. Her interests include watching and cheering on all Houston sports teams, working out and spending time with her family.